Atlanta, GA, April 3, 2019: The Fortune 500 is due to get a new CEO, and she is an Indian-American woman. Gap Inc. announced recently that it is splitting its successful Old Navy brand into its own publicly-traded company. That means Old Navy’s CEO Sonia Syngal, who will continue with the new company, will join the small club of female chief executives in the Fortune 500, reports Forbes. At present, there are only 27 female CEOs in the Fortune 500. Prior to this role, she was Executive Vice President of Global Supply Chain and Product Operations, responsible for managing Gap Inc.’s global supply chain and leading the product-to-market model in support of Gap Inc.’s five brands, Gap, Old Navy, Banana Republic, Athleta and Intermix, according to her LinkedIn profile. Since joining Gap Inc. in 2004, she has served in key leadership and general management roles. 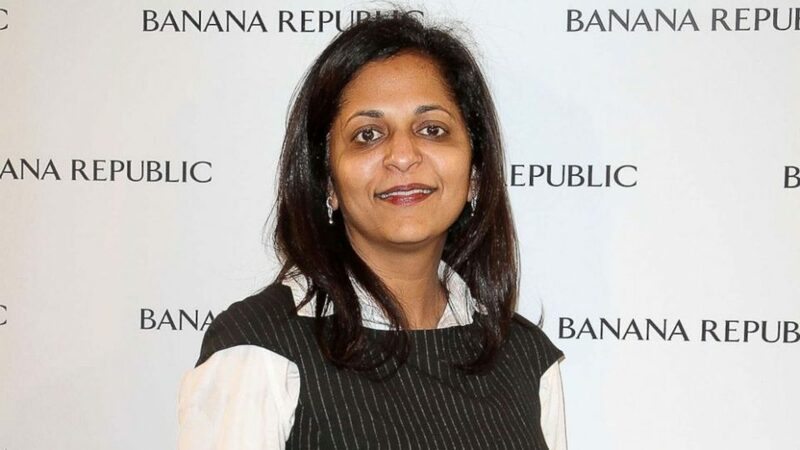 Sonia was Managing Director for Gap Inc.’s Europe business, based in London, where she was responsible for a $1B P&L and the growth of Banana Republic and Gap brands. Sonia has also held the roles of Senior Vice President for Gap Inc.’s International Outlet division, and several key roles across the production and supply chain continuum. She was Senior Vice President of Old Navy’s International division where she led the successful expansion of the brand in Asia and set the strategies for Old Navy’s global growth. Prior to joining Gap Inc., Sonia had a long career in Fortune 500 product companies, including 10 years at Sun Microsystems where she led manufacturing operations, logistics and supply chain management during a time of rapid growth, and 6 years at Ford Motor Co. where she held roles in product design, quality and manufacturing engineering. She is member of the Boys & Girls Club of America’s Board of Governors and serves on the Gap Inc. Foundation Board. She is a guest lecturer at Stanford University.